In the mid-nineteenth century there were only a few scattered houses and cottages between Erdington and Witton. Seven of these were at Stockland Green. Towards the end of the century Stockland Green was an agricultural district with a few farms, cottages, the occasional country house and several dwelling houses; the beginning of an early building estate. As a consequence of a local “tent mission”, a Mr. Perfect built a small brick Chapel, known as the Evangelistic Mission House, at the end of Stockland Road. It was intended to be run along non-denominational lines. 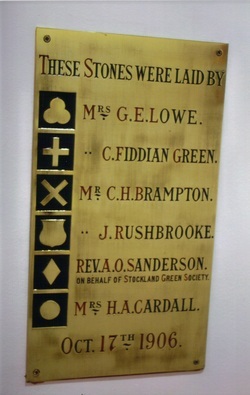 At the same time, members of the “prayer band” belonging to Erdington Wesleyan Methodist Church held occasional cottage meetings at Stockland Green. In the vestry of the Wesleyan Chapel, Lichfield Road, Aston in the Aston Park Circuit on 8th October 1887, the Methodists of Stockland Green agreed to purchase the Chapel in Stockland Road to accommodate their larger congregation. The leasehold cost £45, the freehold £75, less a donation of £10, making the purchase price of the property £110. The opening Methodist services were held on Sunday 23rd October 1887. The Chapel prospered. For nineteen years the little Chapel was the only place of worship on “The Green”. The Chapel which held about 70 people became too small for the needs of the Methodists and was purchased by the local Anglicans. Towards the end of 1906, work began on the building of the second Chapel. The opening services were held on 7th March 1907. 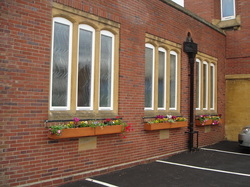 This chapel fronted Slade Road and cost between £4,000 and £5,000 to build. It seated about 250 worshippers. During the 1920’s it was evident that the outward surge of the city would leave Stockland Green well inside the built-up area line. In 1931, the members vigorously undertook the task of creating a larger Chapel with more ancillary rooms. The freehold of the ground together with additional land was purchased and plans were drawn up to incorporate the original buildings in its design. An Enabling Act in 1930 empowered the Wesleyan, Primitive and United Methodist Churches to combine as the Methodist Church. When the third Chapel was dedicated and opened in 1932 the title was Stockland Green Methodist Church and it was the first major new Methodist Church building to be opened after Methodist Union. This current chapel was built with an original seating capacity for 550 and is a beautifully bright building. The approach to the Church is via a wide crush hall and there are three halls with original capacities of 33, 185 and 100 respectively. The church lounge was designed to accommodate 80 persons. It is recorded that on 31st December 1932 there were 573 members on the Sunday School Roll with an average attendance of 352! There were 40 Classes and 46 teachers. The new church cost in excess of £20,000 but in spite of the economic recession and unemployment of that period the church was freed from all building debt within five years of opening. The church was affected by the Second World War. At 10.05pm on Tuesday 19th November 1940, enemy action caused damage. It was a very wet night and the extra damage was caused by the rain through the broken windows. The window in the chancel end was affected, but none of the blue panes forming the cross were damaged. During the 1960's and after Windrush, increasing numbers of people came from the West Indies to find work in Birmingham and many settled where their relatives were already. Stockland Green was blessed with numerous families who gradually arrived, first came Dad, then Mum and they worked to send for their children one by one. 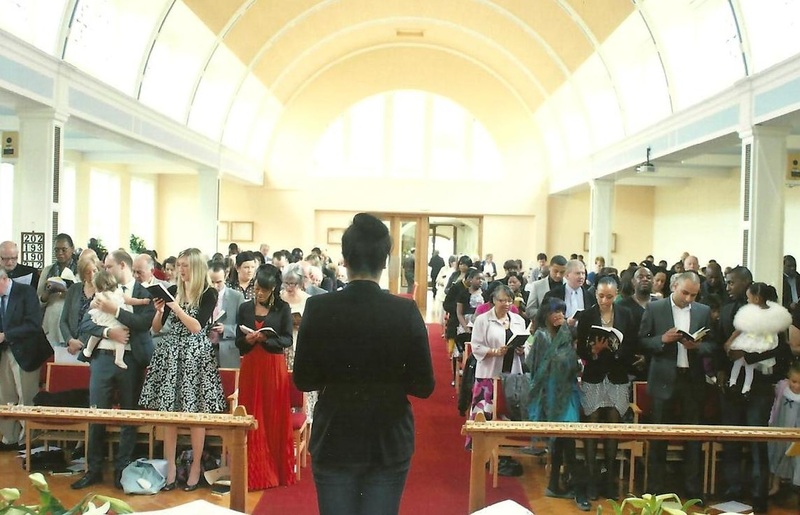 Coming from a long heritage of worship at home, Methodism played a prominent part as people from the Caribbean sought local churches who shared their freedom, fervour and devotion. Not all were welcomed as Christ would have wished them to be and there were some difficult times where congregations did not know how best to respond. Then in 1972 Stockland Green Methodist Church was sent a Minister who was the right person at the right time and was a great blessing - the Reverend Keith Webster and Mrs Freda Webster who had met and married in the Caribbean, served in Jamaica and knew something of the Caribbean culture and even knew some relatives back home of people who were worshipping here. The church ran "getting to know you" sessions in each other's homes and people began to make lasting friendships; the amazing Caribbean suppers were inaugurated which are still a resounding success and gradually people began to learn from one another with the Minister staying on for a very successful 10 years. The next Minister was the Reverend Drummond Geveza, a black Methodist Minister from South Africa at the time when that country was still in the grip of apathied. There was a deep concern within the congregation as both black and white members learnt first hand of the appalling situation in his home country and he is still remembered with deep affection. Decades have passed and succeeding Ministers have brought their own gifts and graces and the congregation has grown in love for Christ and for one another, learning all the time, as many people come from different countries and cultures. Many funerals for the wider community are held at Stockland Green and that is a special privilege to welcome people at a time of great need. The current church stewards represent the congregation well since they are from the Caribbean (Nevis and Jamaica), Britain and Ghana, and they are kept quite busy each Sunday and during the week, representing the church in local meetings as well as circuit events, with some of the past stewards presently serving as senior circuit stewards. The "Growing for the Green" Project to refurbish the premises saw lots of the congregation getting to know one another much better as they worked together turning the pews into saleable benches, polishing the oak panels, pruning the laurels and digging down the drains. When people laugh and cry together then new friendships are forged and the last four years have seen much laughter and many hugs as well as learning many more names! We look forward to a new phase of church life as we welcome more new members and are challenged by new ministers to keep moving forward with Christ.